If you answered “Yes” to all three questions, then Pinterest is a no-brainer for your company. Adding it to your social media marketing mix can definitely help drive traffic to your site. 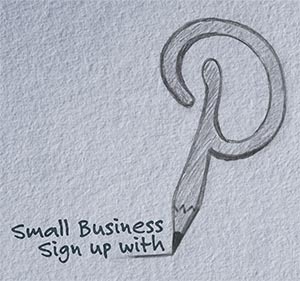 Go to https://business.pinterest.com/ and set up a business account. If you already have a personal Pinterest account, I highly recommend converting it to a business account. Pick your interests. Be sure to pick interests that overlap your target customers’ interests as well. Add the “P” button to your browser. This will make it easy for you to “Pin it to Pinterest” and start saving images from your business site. Read the Pinterest for Business Best Practice Guide. This will give you some great tips and tools for getting the most out of your Pinterest business account. Build your boards and followers. For the first week or so, set some time aside to Pin all the new items you add to your site. You can post the images in bulk later in the day. Start exploring your options on Pinterest. Take a look at the Pinterest case studies to see how your company can fit into the community. As with all social media, it takes time and dedication to see results, but Pinterest can definitely enhance your online presence. Happy Pinning!